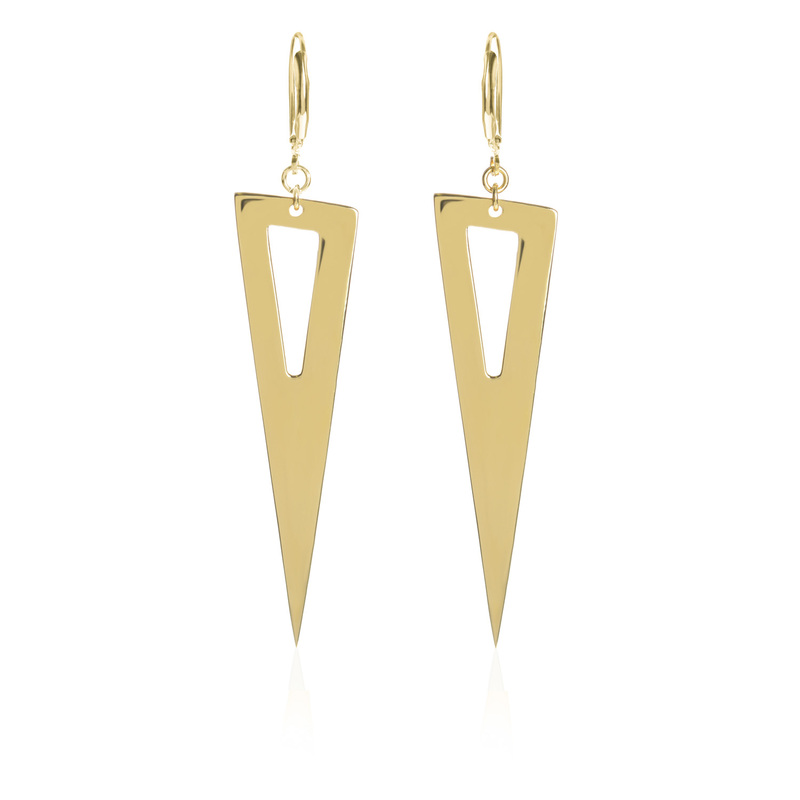 Strength, empowerment and love is what these earrings represent. 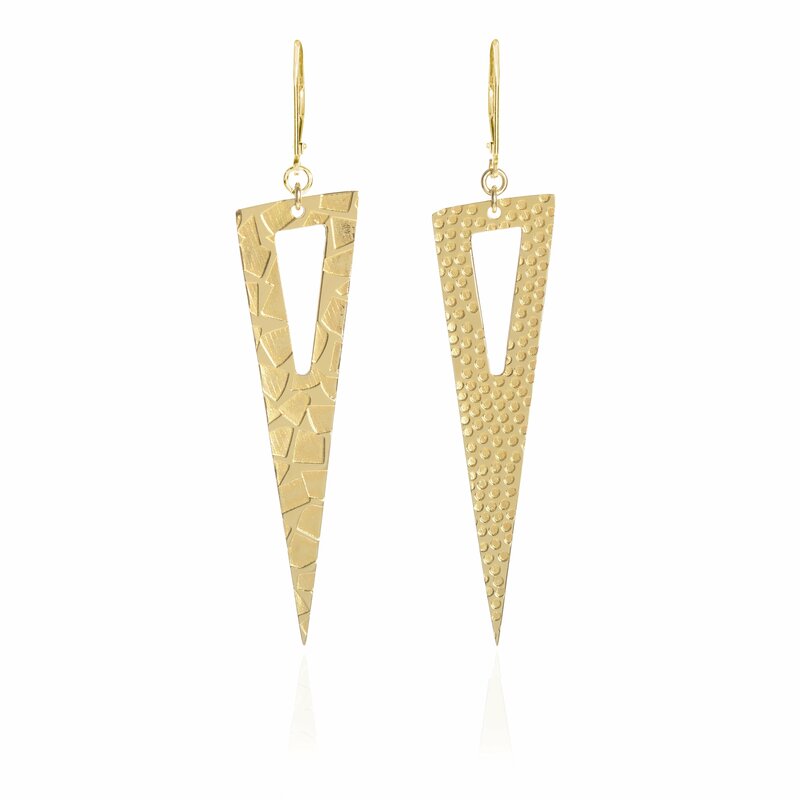 These charming triangle drops are carried by the strong gold frames, stating the simple fact that, as strong as we are, the support of others is a beautiful thing to be cherished. Accepting this help can take the greatest strength of all.